There are a variety of different types of laser eye surgery that can be used to help correct many conditions suffered by the eye. From minor conditions to serious illnesses, laser eye surgery can help restore sight or even save it. The advancements in technology over the years have been huge and it has meant that many people around the world have been able to enjoy the benefits of renewed sight. 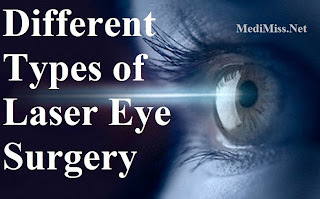 This article looks at some of the different types of laser surgery. 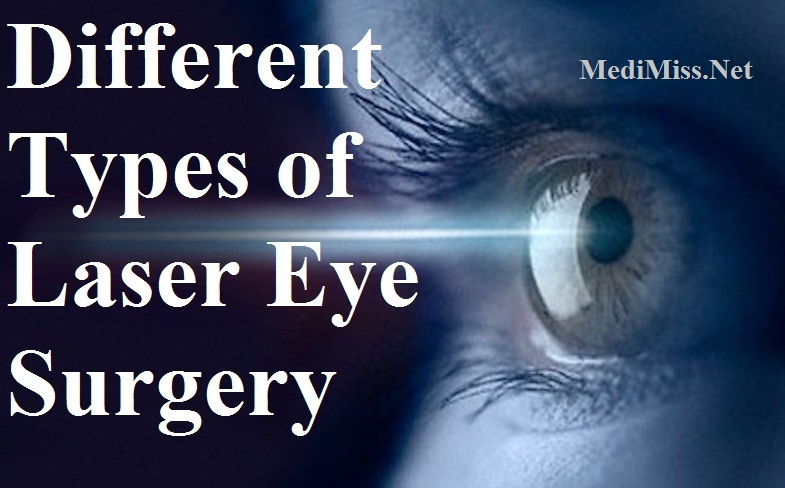 Lasik surgery is one such type of laser surgery. It is an abbreviation of "Laser in situ Keratomileusis" and it can be used to help correct a number of refractive problems that can cause people to live their life with glasses or contact lenses. Anyone that has long or shortsightedness can have their vision corrected with Lasik surgery. A small cut into the cornea is made and laser is used to either flatten (in the case of those who are shortsighted) or make more curved (for those who are longsighted) the cornea. The procedure is painless because anesthetic drops are placed in the eye beforehand. There are several types of Lasik surgery too. When a similar procedure to the one described above is carried out but without first making an incision of the cornea, this is called advanced surface ablation. Another type of Lasik surgery is blended vision. This is when the two eyes need treatment for two conditions, both long and shortsightedness that are affecting both eyes. There is also intraLasik surgery available which does not use a laser to make the incision in the eye. Wavefront surgery is also a type of Lasik surgery and this is tailor made to the individual. A 3D map of the eye is produced by a machine that can measure light as it travels through the eye. By comparing the patient's eye to one that is perfect, it is possible to determine exactly how the eye needs to be corrected to make their eye sight as perfect as possible. Lasek surgery is another type of laser eye surgery. This is a bit like Lasik surgery although it is often the option for less severe cases or more minor conditions. It is also used on patients who have very thin corneas. Lasek stands for laser assisted epithelial keramileusis and rather than creating a flap over the cornea, the surface of the cornea is loosened and folded back. Lasek is just as effective as Lasik surgery, however recovery is slightly longer and the eyes may be more uncomfortable for a few days following surgery. Following Lasik treatment, patients often return to work a day or two later, but with Lasek surgery it may take a few days longer before normal life can return. Undergoing a lens exchange is another type of surgery that is appropriate for some patients. Cataracts can be removed during a refractive lens exchange that uses ultrasound technology to break up and remove the cloudy lens of the eye. It is also possible for some people who are short or long sighted to have a refractive lens exchange. This can help eyesight a great deal and improve the ability to focus. As well as refractive problems, laser eye surgery can help treat conditions such as glaucoma or wet and dry macular degeneration. These are all very serious and can lead to blindness if surgery is not undertaken. A form of Lasik eye surgery can be carried out to correct the problems and therefore prevent eyesight from getting any worse. There are different types of laser eye surgery and so you should speak to your eye doctor to discuss what would be appropriate for you and your condition.